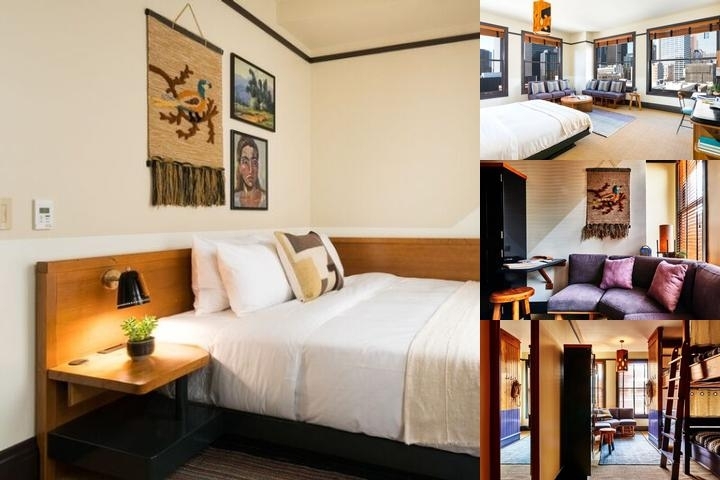 The Freehand Hotel is located in L.A.'s vibrant Downtown neighborhood, home to world class attractions, unique restaurants and a thriving nightlife scene. Inside, find 226 fully renovated private and shared rooms with innovative design by Roman and Williams, state of the art business amenities, and a welcoming community atmosphere. The property features a stunning rooftop pool deck, award-winning Broken Shaker lounge and mixology program, full service restaurant and room service, and Travel Shop. We offer complimentary continental breakfast for our shared guests, from 8:00am – 10:00am in our guest kitchen. Additionally, our restaurant, Commercial Exchange, will serve breakfast daily.